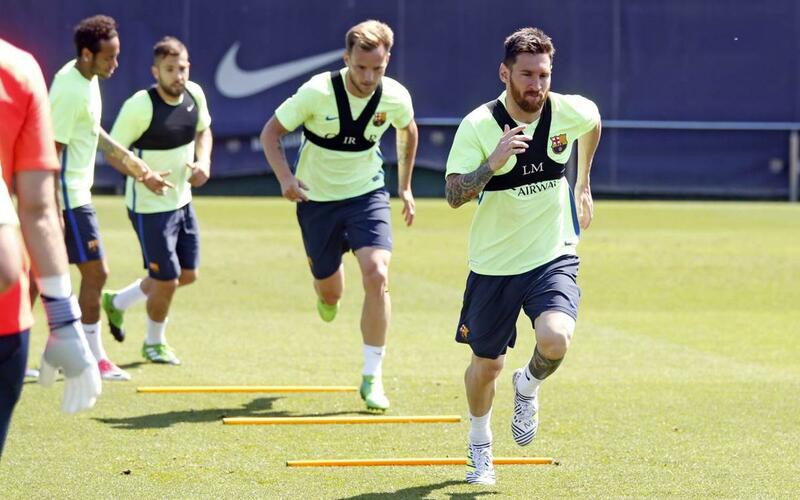 Following three days off in the wake of Saturday's 4–2 victory over Eibar at Camp Nou to close out the league season, FC Barcelona returned to training on Wednesday morning to begin preparing for their last game of the 2016/17 campaign — the Copa del Rey final. Barça face Alavés on Saturday night in at the Vicente Calderón Stadium in Madrid. Kickoff is set for 9:30 PM Central European Time. A victory would hand Barça and manager Luis Enrique Martínez a rare three-peat in this prestigious domestic competition. The Asturian, Spain native, who this Saturday will coach his final game for the team, kept a watchful eye on the players as they trained Wednesday morning. The first team players were joined by Marlon Santos and Carles Aleñá from the reserve team. In other news, fullback Aleix Vidal returned to training for the first time since injuring his ankle in a league match against Alavés back in February. There was another pleasant surprise at Wednesday’s session, as the FCB legend Ronaldinho stopped by to say hello to the players.